Hellboy, a reboot of a moderately successful and well-loved set of a film adaptations, is not what some fans might have wanted from the franchise. Instead, they probably wanted a sequel to Hellboy II: The Golden Army. One such fan was Ron Perlman himself, who has regularly expressed interest in returning to the role of the Big Red hero. But according to interviews conducted by Collider, those involved in producing the Hellboy movies decided that, without the original director on board, it just wasn’t going to happen. All in all, that’s a fairly respectful way to go about doing it. 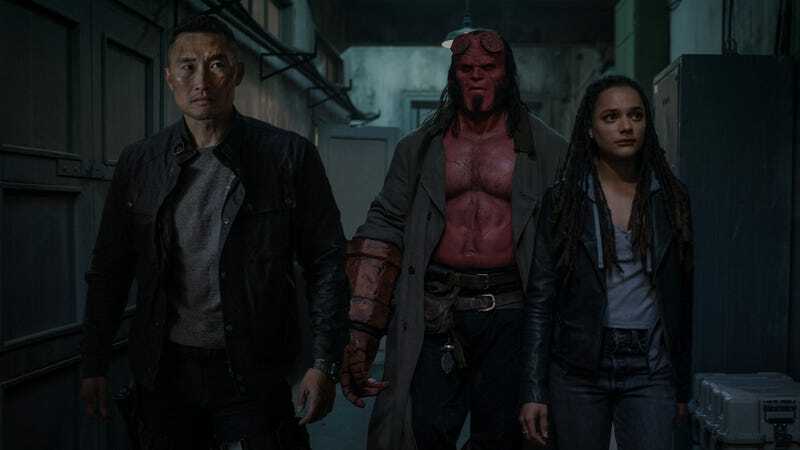 This new take on Hellboy is taking the opportunity afforded by the reboot to go in a different direction, too, with a darker and more self-consciously faithful approach. This new Hellboy, which stars David Harbour, is out in theaters April 12, 2019.